Though it is being talked that the team which Dravid has got to lead is not good enough to fight against others, I think the team is really good. Rahul Dravid, Wasim Jaffer are capable of staying on wicket .Rahul Dravid is capable of hitting as well (remember his 63 ball 92 & 22 ball 50). Mark Boucher and Cameron White are very good hitters , Kallis and Chanderpaul can perform both the roles (hitting and staying at the wicket). The bowlers are of great quality with Zaheer Khan, Nathan Bracken, Dale Steyn.All of them have performed well recently.They are capable of bowling Yorkers, Slow delieveries (best weapons in 20-20s).Anil Kumble though looks old by age, has tremendous potential to turn the game because he can vary his pace. 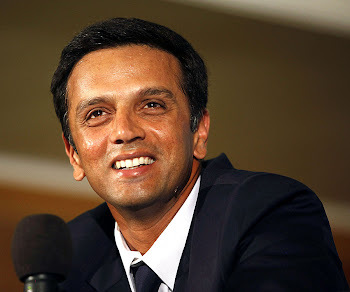 Rahul Dravid is also confident about his team;"they have performed well under pressure", he says. can you provide more information about Dale Steyn and Cameron White?